You think you’ve seen everything now? So has John Romero. For years now, Doom modders have been doing all sorts of amazing things. (Case in point, Sailor Moon mods.) More recently, they’ve been remaking the new Doom in old Doom games. 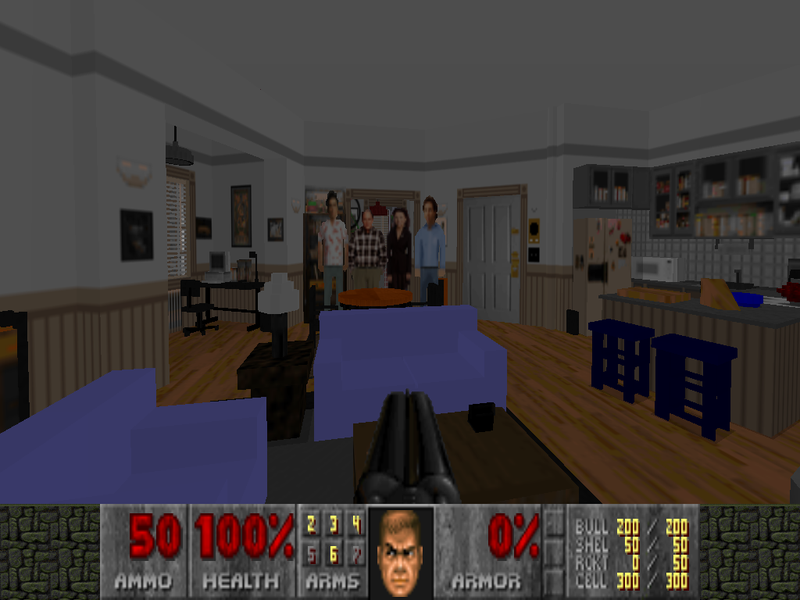 The latest interesting Doom mod comes from Doug Keener, who has created, well, recreated the Seinfeld apartment. It took him over a hundred hours of work, and by the looks of it, the end result was worth every second.